Chris’ experience in Flash was limited to graphics animation – complex, but with very little coding. He then first had to get a hand on the actionsript language used by flash applications. 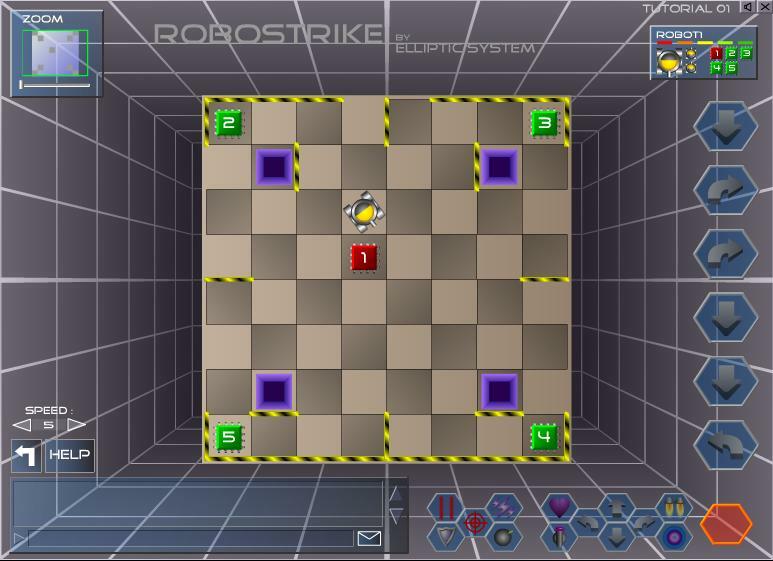 A multiplayer game such as Robostrike is made up of few thousand lines of code and, comparatively, only few graphics. However, it has to be perfectly optimized to run on any computer, regardless of the browser, OS or connection speed of the user. 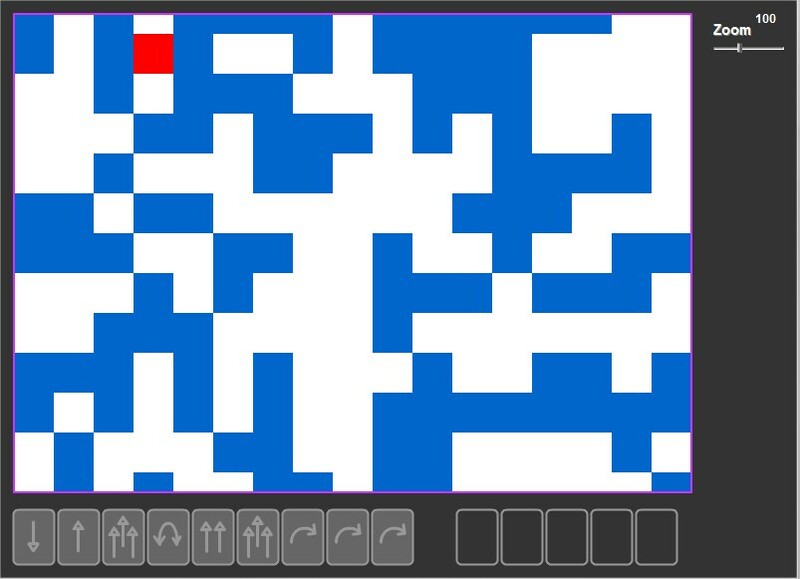 As any good hobbyist developer, Chris decided to familiarize himself with ACtionscript by building a first free game: the famous TChris better known under its original name Tetris. After this little warm up comes the time of the first Robostrike versions. 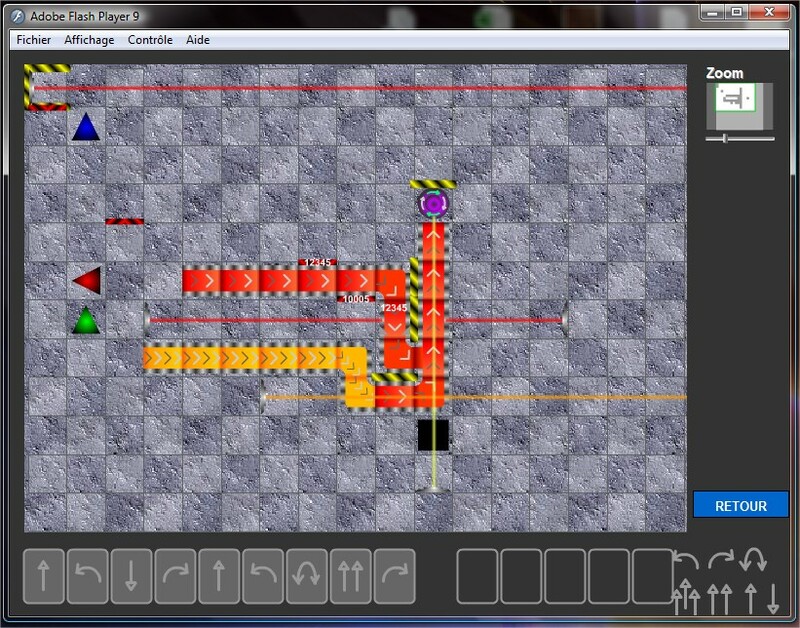 You can see here the first mockup of the robots battle game, dating back 2001 and here the very first robot moves materialized as arrows. That’s when we learn about the negative reply of Roborally editor who, as a matter of principle, doesn’t wish to create a video game of it. We are forced to revise our plans and to come up with an entirely new game play. After many iterations and refinement, we came up in early 2002 with most of the current rules. 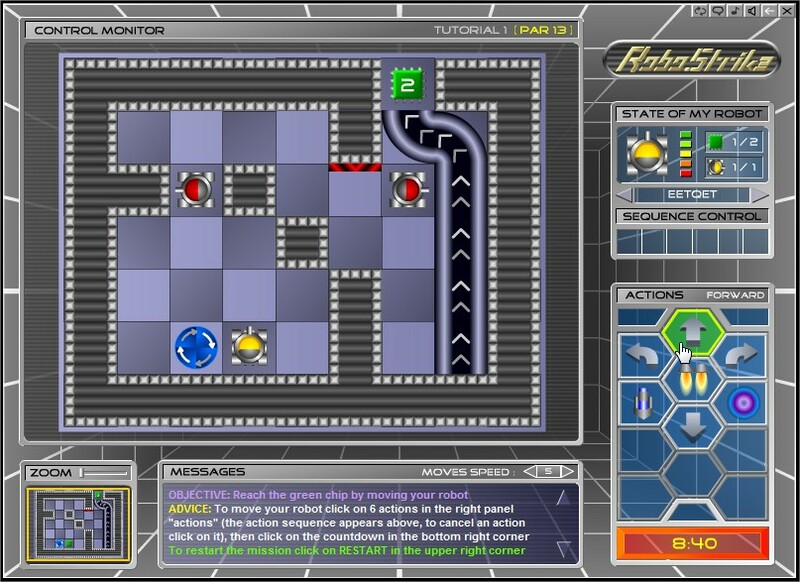 From Roborally, only the robots battle game theme was actually kept. As it turned out, this was a good thing since the rules of the board game turned out not to be suitable for the more real-time and multiplayer kind of interaction we were aiming at. The game first online release is achieved in May 2002. This version also exist as a downloadable freeeware game but isn’t working anymore (just for the archive and curiosity). This first version of the multiplayer online game didn’t meet the success we were hoping for. For several months, we hit into a series of technical problem having to do with the java server development with Tomcat, the later crashing after each upgrade. Despite our best efforts, we fail to stabilize the server. Meanwhile, Tchitch, called by his professional duties is forced to leave the project in june 2003. The server is crashed, the game doesn’t work anymore and all the time invested in the development appears to be wasted!!! While understanding and considerate of Tchitch decision, Chris isn’t ready to give up so close to the goal. But how can he alone help our robots to cross the desert ... ?